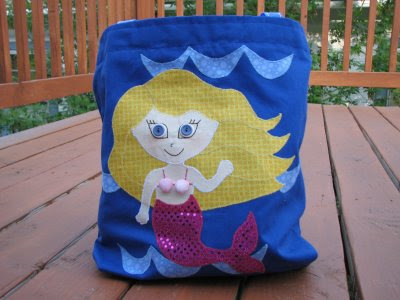 My mom made these stinkin' cute beach bags for my kids and my niece and nephew. She's awesome and has agreed to start selling them at The Dress-up Drawer this summer! those are so cute...the mermaid is to die for!